i love this wood veneer. i painted it white so that it will stand out from the dark woodgrain paper. i love that i can fill up the wood veneer with little embellishments from the kit. i used only the main scrapbook kit for this layout. the cut files this month are amazing! 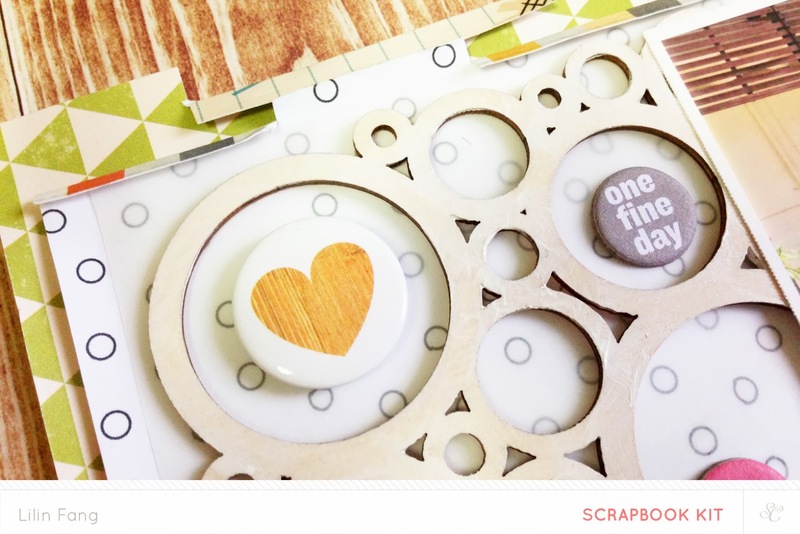 i used one of the journaling cuts files by in a creative bubble as a background for this layout. 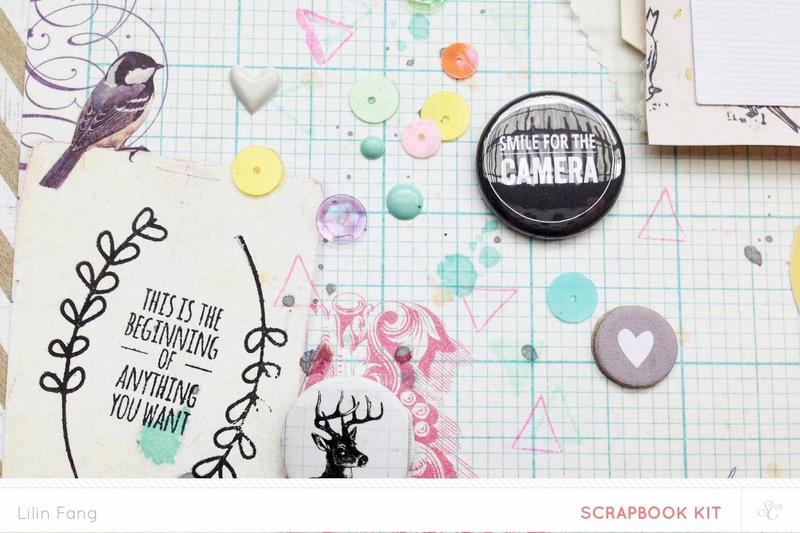 this is also a scrapbook kit only layout. 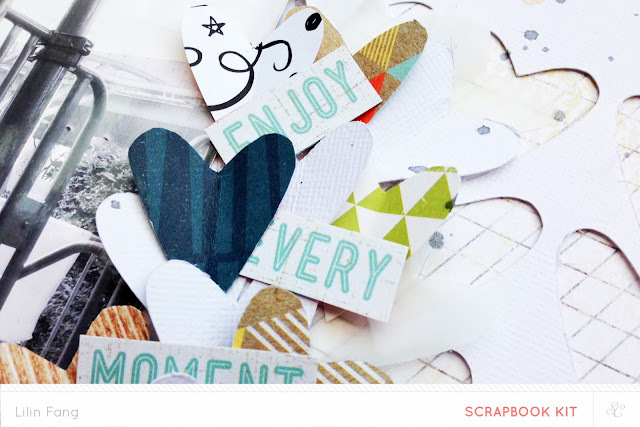 i love love love this paper from add on 2 - high point! 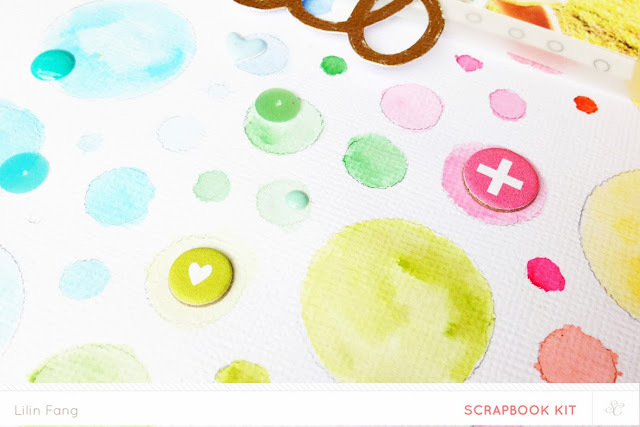 i love the stamp in the main scrapbook kit. i used it to scatter these little coloured triangles. i hope you like what you see so far. the reveal is in 3 days 4 hours so get ready to shop for your favourite kits and add-ons! Subscribers reveal will be on 27th at noon EST/ 11am CST and for the rest of the public, it will go live on 27th at midnight EST/ 11pm CST.